The creationist logic is apparently that this lone plesiosaur got captured in Loch Ness during the biblical flood. 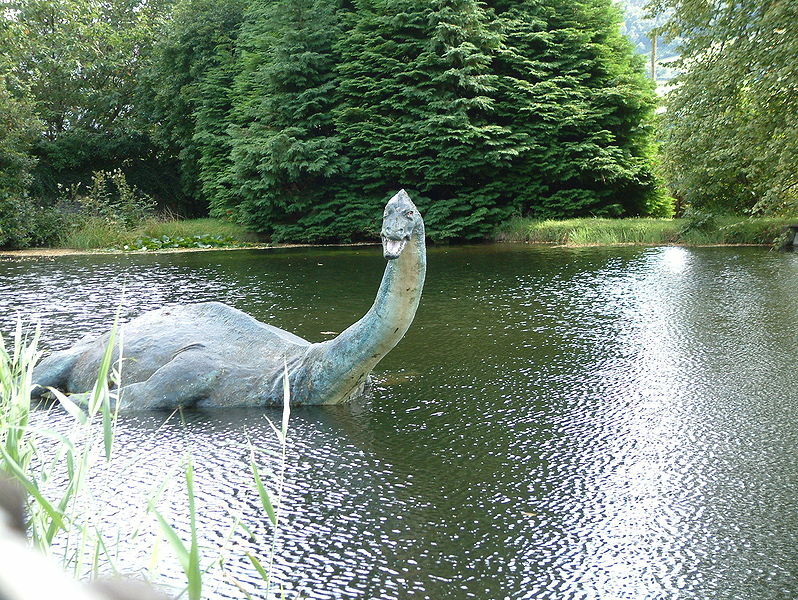 Thus, we can assume, Nessie proves that dinosaurs didn’t die out 65 million years ago. Of course, there is just not one single bit of evidence that there’s a monster in the lake. And since the absence of evidence is evidence of absence, you’d think after the few thousand years of human habitation in the area of Loch Ness, someone would have actually seen it. Of course, there is no evidence that a single plesiosaur survived the K–Pg extinction event 65.5 million years ago which killed almost all dinosaurs, except for birds. And there’s that small point that a several hundred meter thick hunk of glacial ice sat on top of the lake 10,000 years ago. The search for Nessie is nothing but pseudoscience, which is apparently good enough for the creationist pseudoscience. Next up. Sasquatch disproves human evolution. This is money that should be spent on an education that’s based on real science and real facts. Some critics warn that this voucher program could eventually cut public school funding in half. Everything about ACE is inimical to responsible education. It serves no purpose except to brainwash children and give parents the feeling that their children are being placed on the way to godliness. It is a travesty of schooling. Any teacher with any dignity or integrity would not put children anywhere near ACE. Only ten percent of Africans can read or write, because Christian mission schools have been shut down by communists. The Great Depression was exaggerated by propagandists, including John Steinbeck, to advance a socialist agenda. Bill Clinton’s 1992 presidential win was due to an imaginary economic crisis created by the media. So, it’s more than just trying to teach kids that the imaginary Loch Ness Monster proves the imaginary creationism. It’s teaching kids homophobia. Racism. Religion. Anti-environmentalism. All with taxpayer money.